Here is the first of three stories I reported in Haiti for this week’s TIME 100 edition of the magazine. 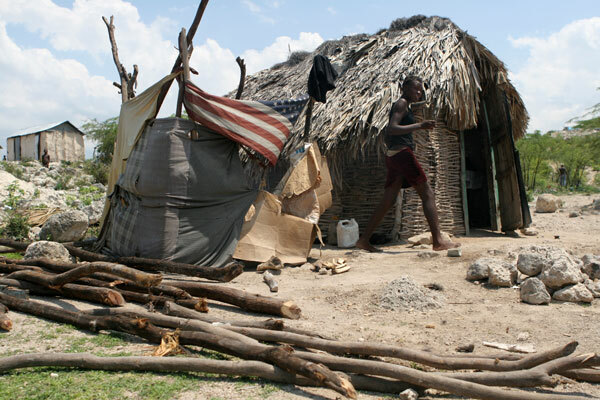 At the lakeside village of Mandan Belize, Prophete Asseus looks out from his mud hut at the waters where, for decades, he has launched his boat and nets to eke out a life as a fisherman. He says he noticed over the years that the fish in Lake Azuei were going away. The government has re-stocked the lake only twice in ten years: once with a donation from Cuba; and again with a donation of fingerlings from the Dominican Republic. The salt-water lake has been over-fished and is now nearly barren. This father of 8 children couldn’t feed his family — let alone send his kids to school — on the meager catch he was netting. And, to make matters worse, seasonal winds would make it too dangerous to fish for many months in the year. When I visited Prophete last week, he was doing much better. And it had to do with the box-like cages, buoyed by PVC pipe floats, bobbing in the water about 30 yards off shore. The cages contain tilapia, a breed of fish that thrives in the lake’s briny waters. 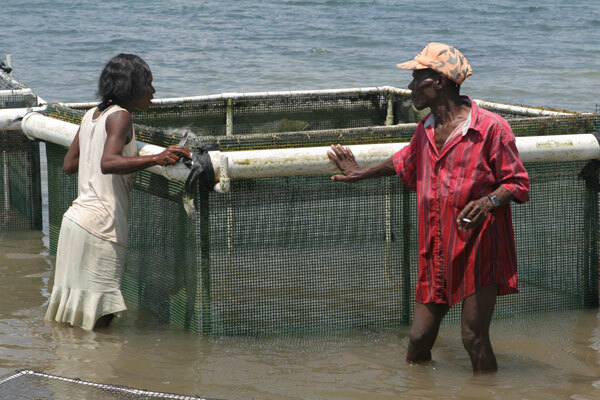 Once solely a fisherman, now Prophete is a fish farmer. And he says life is much better. 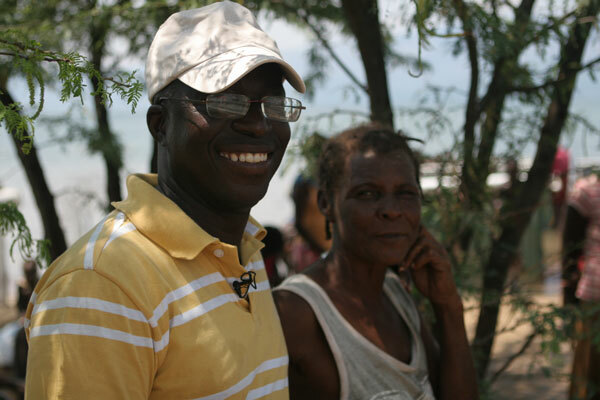 The farming operation is the brainchild of man from Ivory Coast named Valentin Abe. The Fulbright scholar earned his PhD in aquaculture from Auburn University and came to Haiti — on a six month contract — 13 years ago. He ended up staying. Abe says he knew from first arriving in Haiti that fish production could be a huge boon for the country, for nutrition, for the economy and the environment. Abe is making progress. At a clean and well-run hatchery in the Croix-des-Bouquets region of Haiti, he has trained local agronomists to breed and grow tilapia. The solar-powered hatchery has about a dozen large tanks with fish at various stages of growth. After several weeks, the fingerling fish are delivered to the 60 families at the lakeside villages participating in the Haiti Fish Development Project. Each farmer is given a cage, each of which will hold about 2,400 fish. They’re also given fish food, and they feed the fish three times a day until the fish are mature enough to sell. When the fish are harvested, the farmers get 40% of the proceeds, with 60% going back in to sustain the project and the hatchery. 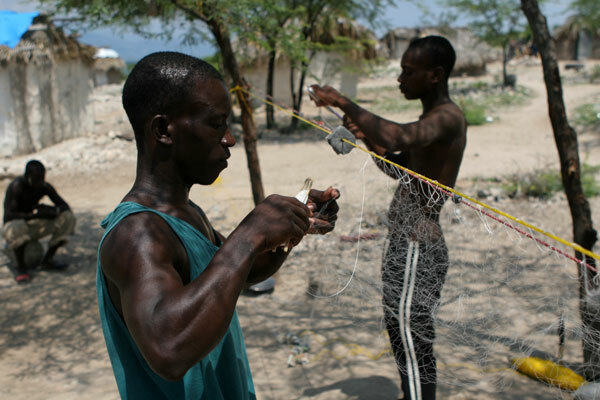 That means Prophete and other fish farmers can make between $1,200 and 2,000 a year. 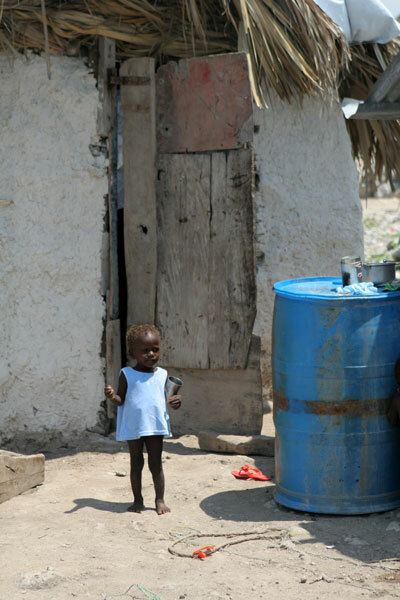 The sum may sound dismal to many of us, but those dollars go a long way in Haiti. And they mean a lot more when you go from nearly zero dollars to twelve hundred. Though he’s not Haitian, Abe knows poverty. He grew up in the slums of Ivory Coast. His mother had no education, and his father only went through the fourth grade. But, he says, his parents valued education and pushed their children to excel. Among his siblings are an economist and a medical doctor. And Valentin is now a well-regarded agronomist doing remarkable work in the poorest country in the western hemisphere. See what Bill Clinton says about him in TIME this week. Valentin Abe wants to expand his project to 350 families in the next two years. His ultimate goal is to built the project to a size large enough to feed the entire population of the Haitian capital of Port-au-Prince. And I have no doubts he’ll do just that. with proper tilapia fish farming techniques… tilapia could be grown in large quantities and of good quality..